We thank you for visiting us through our website, and we are looking forward to seeing and meeting you up close. 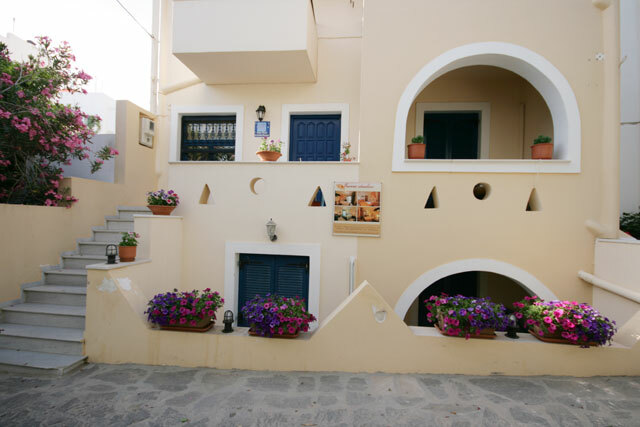 Naxos Island: Naxos is one of the most beautiful islands in Greece. It is the biggest island in the Cyclades, consisted of splendid beaches and its mountainous beauty. 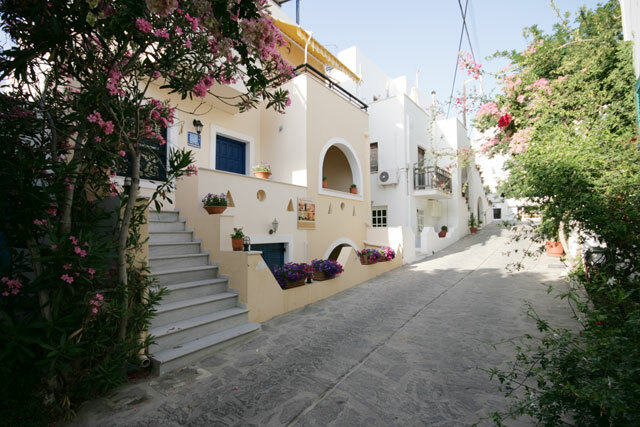 Naxos is well known for its hiking, motorbike and 4x4 excursions. 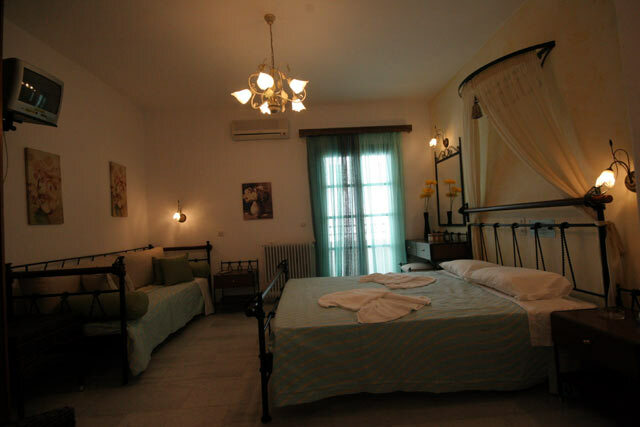 We are always at your disposal if you wish to discover the secrets of Naxos. Irene Studios awaits your arrival so that they can show, offer and serve you their traditional Naxian hospitality. 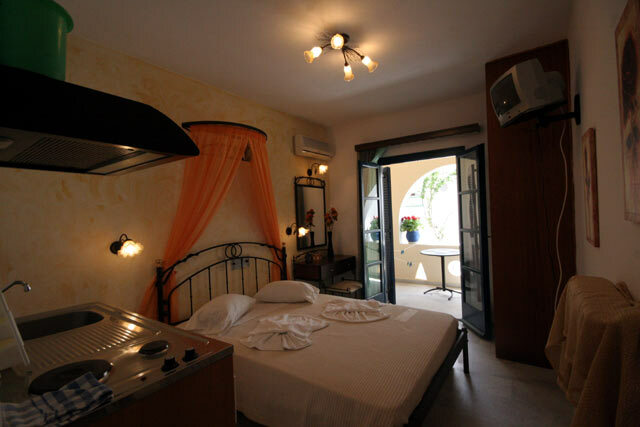 All the Studios are beautifully decorated and are maintained absolutely clean. 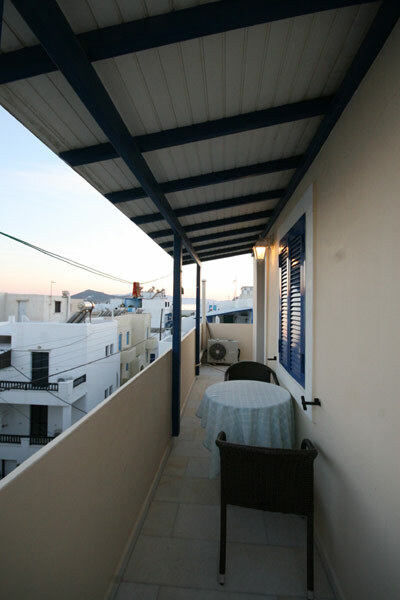 Each Studio has its own balcony or veranda, most of them having a view on the town(Chora). 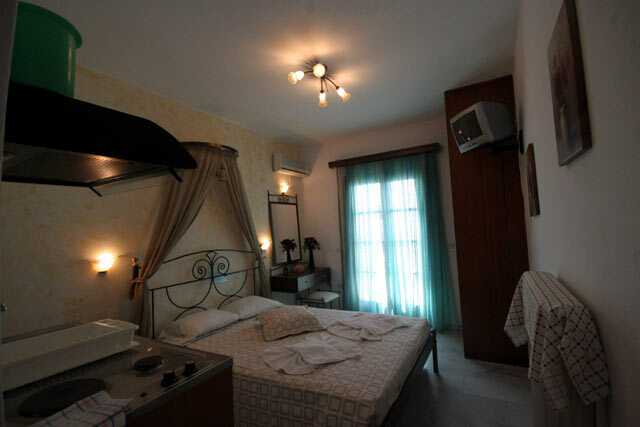 All the Studios are equipped with a private bath, Air conditioning, Music, Television, Safe deposit box, Refrigerator and cooker for your total convenience and satisfaction. 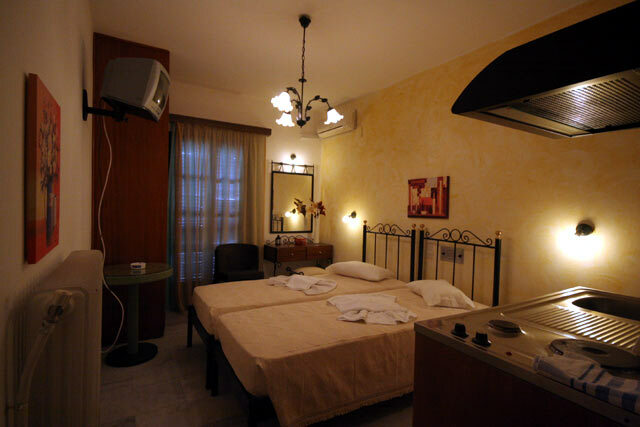 Our guests are also provided with room service upon request. Our reception desk is also well equipped with town information, fax machine, transportation services and dry cleaning services. 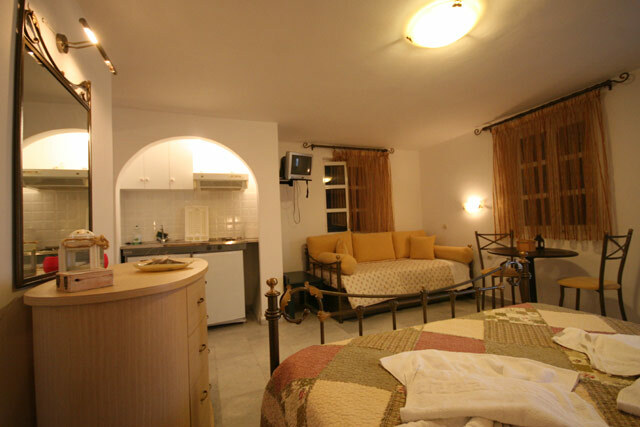 Irene Studios offers several services so that our guests can feel right at home. 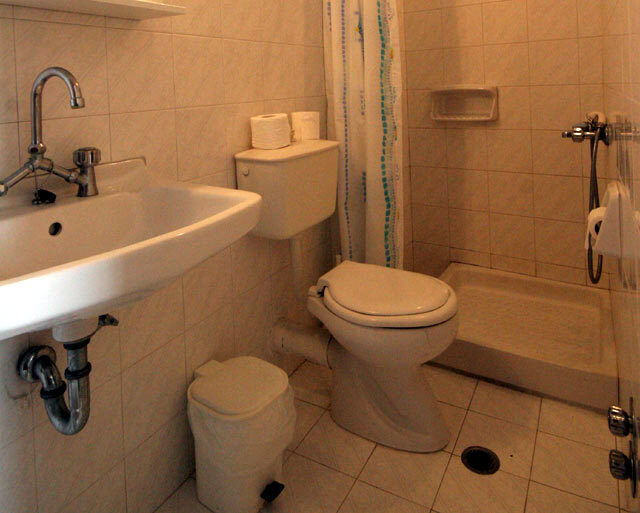 Services include an information-reception desk, fax machine, services for cleaning clothes and transportation. 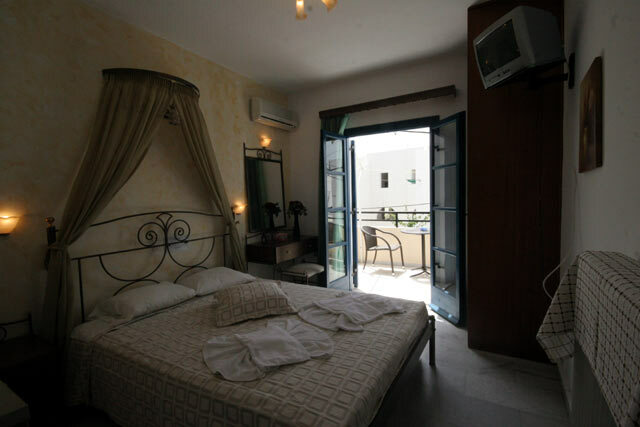 All Studios are equipped with a balcony or veranda. Room service is also provided upon request. 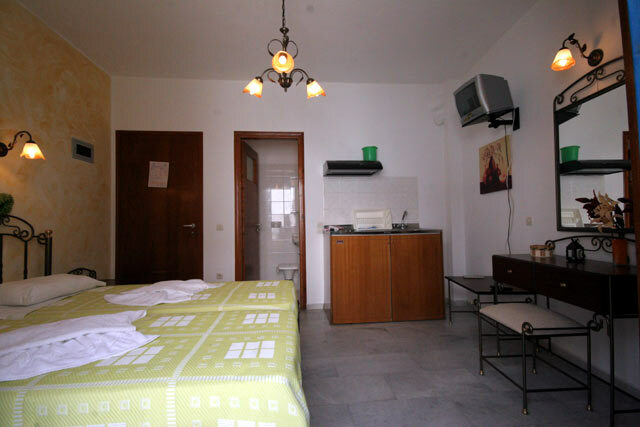 Our Studios are well situated in the countryside, near the sea and close to all the facilities that will make your stay a pleasant one. 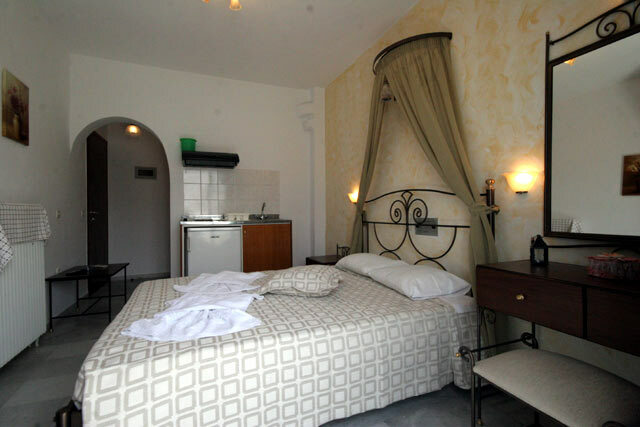 The centre of the town and the Venetian Castle are located not far away from our rooms. 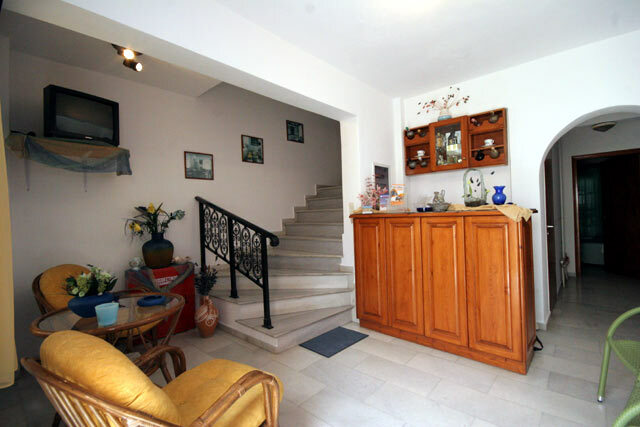 Useful information: Distance from super markets: 20 metres - From bus stop: 30 metres - From taverns: 50 metres From the beautiful Saint George sandy beach: 40 metres. Distance from airport: 1 kilometre. 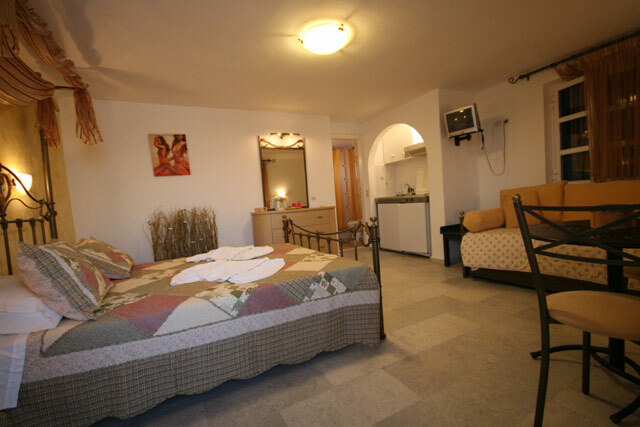 We are always prepared and ready to offer you splendid holidays. To make a reservation or for more information about our establishment, please feel free to contact us by e-mail or telephone. We will be glad to answer any questions that you may have.